Our clients include: government agencies, embassies, businesses as well as individuals. THE LANGUAGE CRADLE Course Outlines provide a general functional idea of what is covered over a 10-week period, and include typical themes, grammar and vocabulary fields. The courses are flexible rather than prescriptive, in that our instructors may decide to adapt their learning plans to the specific level, aims and interests of a particular group or individual. Additionally, we offer customized training for corporate clients, at our location, or in the comfort of your own offices. • Developing intercultural understanding and appreciation. • Enabling students to communicate effectively in different situations and settings with native and non-native speakers alike using authentic, appropriate, and correct linguistic forms. • Equipping students with the requisite linguistic skills for pursuing university education in their fields of specialization. Whatever your learning goals, we have an English course to suit your needs. Choose from a range of diverse courses in groups or private lessons. 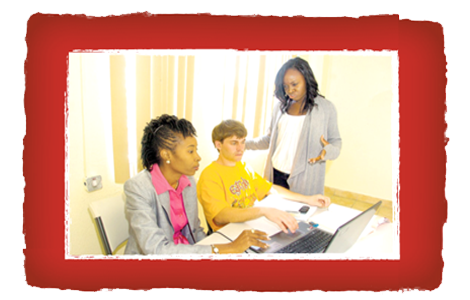 We offer quality teaching, with flexible study options, in a confident building environment as well as online. Individual tuition at any level is available on a flexible basis to suit your personal schedule and learning objectives. These courses are a unique opportunity to practice English on a one-on-one basis in a comfortable and uninterrupted environment. We will design a customized programme for you. Choose from a range of flexible courses for different specialist purposes such as conversation or writing & grammar. We also offer specialist English courses for companies as well as individuals. Improve your speaking and listening skills in our specialist conversation class. Practice with pair and group work,discussions and role plays. Focus on your writing and grammar skills. You will practice writing letters and e-mails, reading newspaper and magazine articles as well as practical exercises. Grammar structures and idiomatic expressions will also be addressed. © Copyright 2012. International Business & Language Consulting Ltd. (THE LANGUAGE CRADLE) All rights reserved.